• 1380 sqft , 2 bath , 4 bdrm bungalow – FOR SALE CAD269,900 . 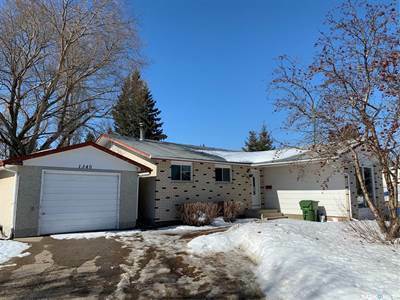 Spacious Crescent Heights Bungalow with a kitchen that will impress! Totally renovated and reconfigured main level kitchen area complete with new backsplash, white shaker style cabinets, large island, recessed pot lights, large skylight, new flooring throughout the main level that is Vinyl plank (very water resilient). New interior doors and fixtures on the main level and well sized sunken living room. Updated bathrooms, fresh paint… Move-in ready home!